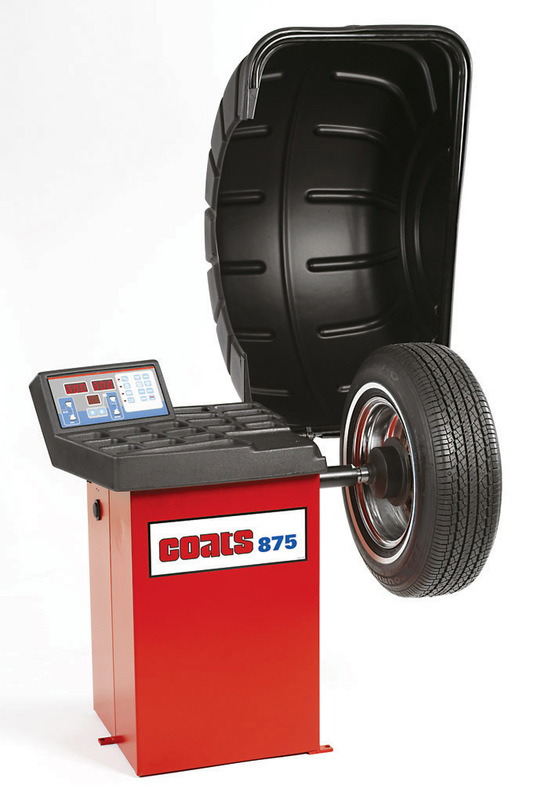 The Coats® 875 wheel balancer brings professional balancing service to your lineup. 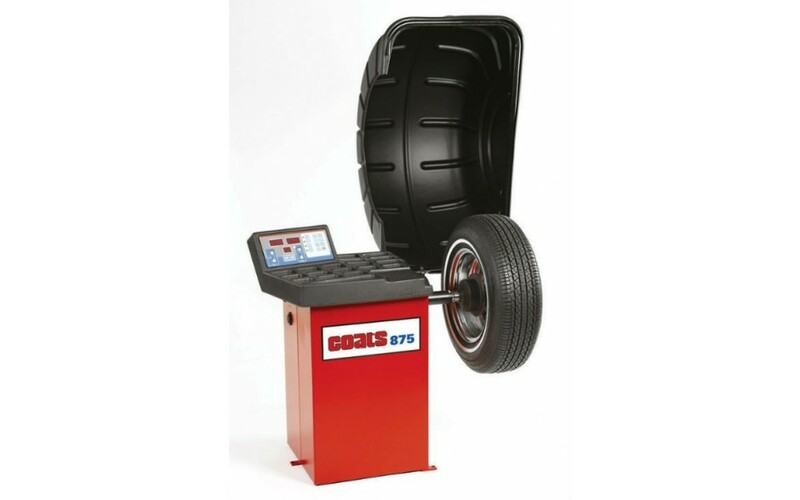 Whether you own a brake shop, muffler shop, or are just starting out with a couple of bays, the 875 model is a cost effective way to provide wheel balancing for your customers. It is a profitable part of any shop that can pay for itself in short order while encouraging repeat business. And Coats® will help you get started without breaking the bank. These models offer big league features in a compact size and the built-in dependability from the leader in the tire service business – Coats®. Offering wheel balancing to your customers is a great way to add new revenue to your business. You stay more competitive and keep balancing service in your shop where it belongs. This innovative balancer will give you years of rugged durability, dependability, and performance - all for a value price. With a convenient, easy-to-read keypad entry system and self calibration accuracy within 1/100 of an ounce, balancing is fast and efficient even for a rookie. Can handle standard OEM tires up to 40” diameter and 130 lb. The 875 balancer is “small footprint” so it will fit almost anywhere. That also gives you the flexibility to fine tune your workflow process as you grow more easily. These features, usually found on much bigger balancers, come standard on the Model 875. These modes help keep weights out of sight for OE alloys. Automatic offset and diameter measurements make every balancing job quick and precise. Direct Tape-A-Weight™ Placement - Audible beeps indicate exact placement of Tape-A-Weights and take the guesswork out of those tricky behind-the-spoke balances. Automatic Distance & Diameter Data Entry - Automatic offset and diameter measurements make every balancing job quick and precise. Hood with Integrated Auto Start - Lowering the protective hood starts the balancing process and offers additional protection. Space Saving Design – Balancer has a small footprint, providing the flexibility to locate your machine anywhere in your shop. Integrated LED matrix display provides easy-to-read visual cues and keypad, promoting proper balancing techniques and faster bay turnaround times. Ten balancing modes, including multiple static, dynamic and alloy modes.